Scheda: Nazione: URSS - Produzione: Lenfilm Studio - Distribuzione: Image Entertainment - Soggetto: dalla favola di Aleksandr Nikolaevitch Ostrovskij - Sceneggiatura: D. Del, Pavel Kadochnikov - Fotografia: A. Cirov - Scenografia: A. Fedotov - Musiche: Vladislav Kladnitsky - Formato: Color - Durata: 93'. Cast: Yevgenya Filonova, Yevgeny Zharikov, Irina Gubanova, Boris Khimichev, Pavel Kadochnikov, Sergei Filippov, Andrei Apsolon, Lyubov Malinovskaya, Valentina Pugacheva, Valery Malyshev, Svetlana Onuchkina, Gennadiy Nilov, Lyudmila Bezuglaya, Stepan Krylov. 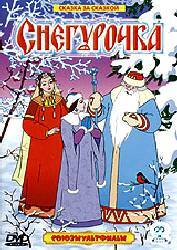 Plot Summary, Synopsis, Review: IMDb - allmovie.com - answers.com - movieweb.com - ent.mobile.msn.com - blockbuster.com - ruscuisine.com - amazon.com: «The daughter of Father Frost and the beautiful Spring, the Snow Maiden has an icy heart which has known no joy or love until she meets Lel. His love and warmth melt the cold beauty's heart and allow her to see the richness of the world around her. Breathtaking landscapes, merry dances and folk songs, and an abundance of romantic magic make this a Russian fairy tale to remember». 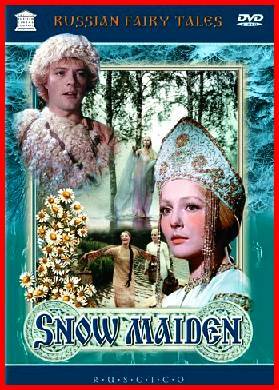 Conosciuto anche con il titolo: The Snow Maiden. 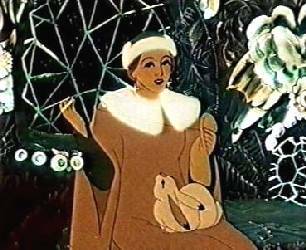 Scheda: Nazione: URSS - Produzione: Soyuzmultfilm - Distribuzione: Artkino Pictures, Empresa Hispanoamericana de Video, Sovexportfilm - Soggetto: dalla favola di Aleksandr Nikolaevitch Ostrovskij - Sceneggiatura: Oleg Leonidov, Alexandra Snezhko-Blotskaya, Ivan Ivanov-Vano - Art Direction: Nadezhda Stroganova - Musiche: Nikolai Rimsky-Korsakov (dall'opera Snegurochka) - Formato: Color, animazione - Durata: 67'. Voci: I. Troyanova, Victor Nikitin, G. Nevzorova, N. Fedorova, O. Ghemmerling, Lev Milchin, Ye. Tannenberg, Irina Svetlitsa, V. Valerianova. 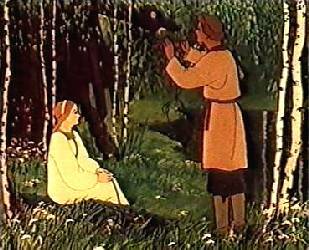 Plot Summary, Synopsis, Review: IMDb - nytimes.com - animator.ru - myltik.ru - en.wikipedia.org: «...The Snow Maiden is an example of the Socialist Realism period in Russian animation, which was characterized by heavy use of rotoscoping and a focus on adapting traditional Russian folk tales. 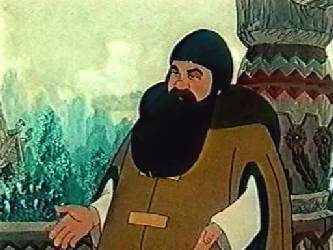 The film is listed as being in the public domain on the website of the Russian Federal Agency of Culture and Cinematography. The film also lapsed into the public domain in the United States when its US copyright expired, but the copyright was restored under the GATT treaty. Snegurochka (the Snow Maiden), the daughter of Spring and Frost, yearns for the companionship of mortal humans. She grows to like a shepherd named Lel, but her heart is unable to know love. Her mother takes pity and gives her this ability, but as soon as she falls in love, her heart warms up and she melts».